Game, set, match! 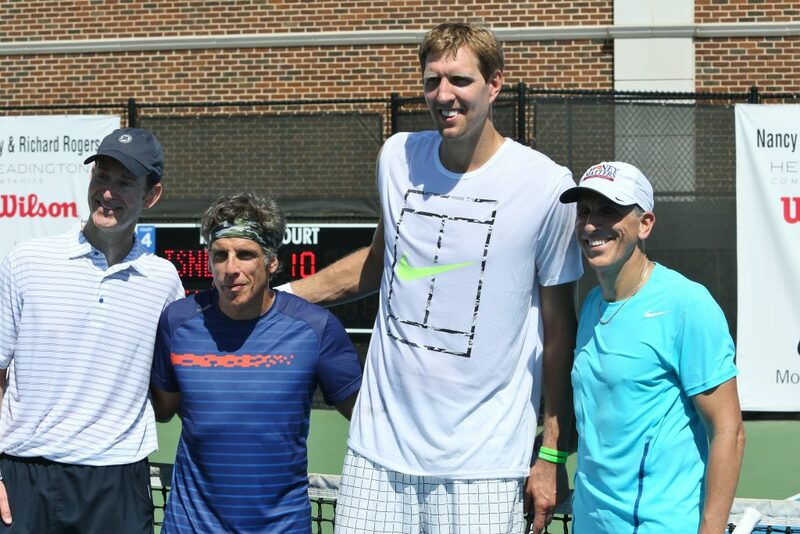 Quickly becoming a North Texas tradition, the third-annual Dirk Nowitzki Pro Celebrity Tennis Classic, presented by Morgan Stanley, will make a smash on Saturday, Sept. 15, 2018, from 11 a.m.-3 p.m. at the SMU Tennis Complex (5669 N. Central Expressway, Dallas). Proceeds benefit the Dirk Nowitzki Foundation, which awards grants annually to organizations focusing on children’s wellbeing, health and education. RAIN OR SHINE! Spectator tickets to the tournament are $20 for adults and youth, and free for children 3 and under. In addition to presenting sponsor Morgan Stanley, other sponsors include Headington Companies, Smith Thompson Home Security, Sewell, Babolat, Bullion, Greenberg Traurig, 105.3 the Fan, Lombardi Catering, Nike, NorthPark Center, Merrill Lynch, The Joule, The Tot and Which Wich. Parking is available in the Mustang Parking Center (6001 Bush Ave.). For more information on the Dirk Nowitzki Foundation, go to dnfoundation.org. Tickets will be available at the door or purchase at ticketmaster.com.